A late checkout after 12 noon will be charged half rate. A late checkout after 6 pm will be charged the full night. ​**This will depend upon availability. We suggest that you inform us ahead of time so we can reserve the room for late checkout. 1 free child (0-6 y.o.) only per room. The other 0-6 y.o. will be considered as adult. 7 y.o. and up will be considered as adult. 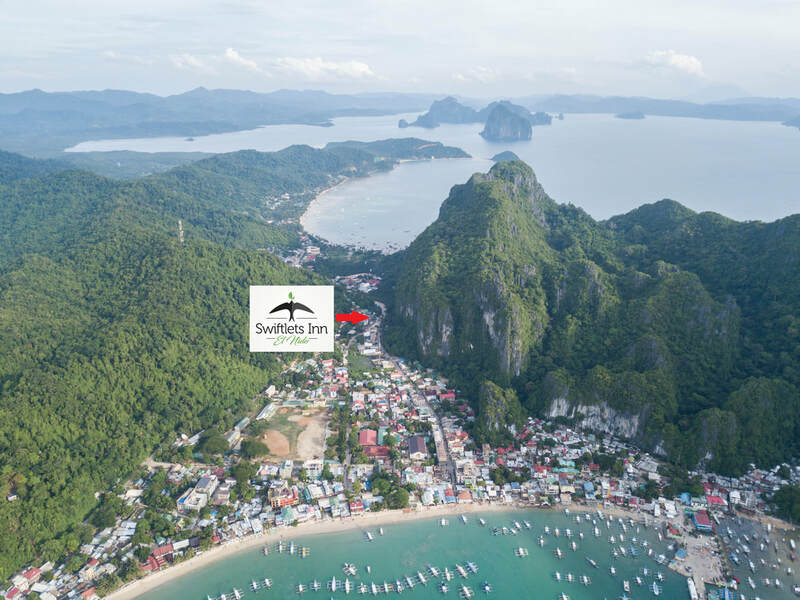 Located at the center of El Nido town proper, Swiftlets Inn is around 7 minutes walk from El Nido terminal and around 7 minutes walk to the town front beach. Swiftlets Inn is close to the limestone cliffs with a partial view of the town.